Recently there has been much controversy around Wadi el Rayan. Basically it is a desert area near Fayoum. This area is so hard to live in even the Bedouins aren't at rest there. At one point, Abouna Matta el Meskine lived there before he went to St. Macarius Monastery in Wadi el Natrun. Some monks moved there a while back and then they gave the Wadi a conservationist status which mean no one can live there. Problems eventually spiraled out of control; more details in the video below which is an interview with Abouna Boles el Rayani. Then Pope Tawadros, Anba Rafael, Anba Abram, and Anba Armia got together and signed a paper which basically defrocked the monks (which means they can no longer be considered monks and as a consequence no monastery will accept them). I really don't believe that the action taken by His Holiness and the three bishops was unfair. 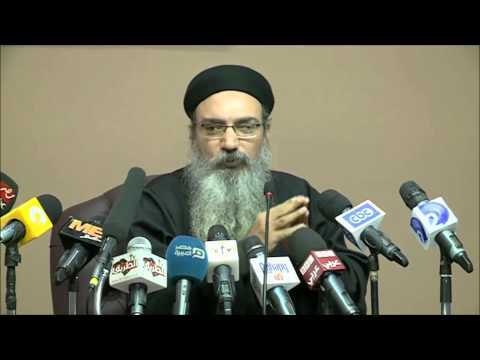 I want to know other peoples opinions and before anything you have to listen to the interview with Abouna Boles (it will tell you about all the events that took place whereas the videos with Anba Rafael only state the final decision of the Holy Synod). I thought that His Holiness gave them a chance to move to or at least near Abu Maqar and be under the spiritual guidance of HG Bishop Epiphanius??? That was the first time I heard that.There was no official statement that I was aware of. For the record there is around 90 monks in Wadi el Rayan. Abu Maqar already has a hundred something; for all those monks to move to Abu Maqar would mean doubling the population of that monastery. I am confused as to why this problem was escalated. This is the first I have heard of this problem so I have no bias. It seems to me that some monks are upset that their monastery is being divided up to allow for the construction of a roadway as an upgrade to the highway infrastructure in Egypt. They call it an illegal action and unnecessary. Fr Boules' interview seems to have many inconsistencies that would be beneficial to discuss. I will point to a few of them. 1. My biggest disagreement with Fr Boules' summary of events is that he goes through a long history of what monasticism is but ignores the contradiction of his/the monastery's actions. He cites three foundations for monasticism: poverty, worship and humility. Poverty is the main issue here. Monks are called to poverty. I think we can all conclude that this includes real estate and personal property poverty. Even at a more macro level, a monastery is supposed to live in poverty, as a hospital of sojourners traveling to the next world. A monk or a monastery cannot turn around and say we have property/real estate rights to keep this valuable land. Either you live in poverty or you claim ownership rights. You can't have it both ways. The monk and the monastery is held to a different standard of poverty than the individual parishioner and the Church. The Church is urban in nature. It works within the infrastructure of urban world, cosmopolitans and governments. Monasticism voluntarily disconnects from cosmopolitans and government (as legally allowable). Monasticism is not anarchy but it is also not capitalism. Even in America, if the government wanted to take your house to build a highway, they legally have all power to do so. It is called eminent domain. They give you the fair market value for your house in exchange. We cannot claim that governments do not have the right to take private real estate (forget for a moment that monastic poverty forfeits its right to private real estate by nature). Now we all know American law and Egyptian law are different. But the concept that ownership entitles you to defy government decisions (and revisions) is false. The government has no duty to private citizens. Most (Western) courts have held that the duty of the government is to protect the public at large, not private citizens or a specific subgroup of the public. 2. Obedience. Obedience by definition is a submission of your will to your superiors. There are limitations. If your superiors insist on sin, you are not obliged to obey. But if you take a vow of humility and obedience and you refuse to subordinate, then you have essential negated your vow which is the core foundation of your existence as a monk. That is what Pope Tawadros said in his interview. This is why the monks were laicized. 3. Authority. Fr Boules seems to go to length to describe the history of the monastery, implying that the monastery received authority and authenticity from (1) antiquity - 4th, 7th, 11th century buildings and Pachomian practices for ordaining monks regardless of education, (2) a friendly relationship with the government in the 1960s, (3) the late Metropolitan Mikhail of Assyut, (4) various letters from the government, the courts and HH Pope Tawadros, (5) the legacy and autonomy of Fr Matta al Maskeen, and my absolute favorite (6) a vision to Fr Matta al Maskeen from heaven - which by the way is a near verbatim copy of St Macarius the Great's vision to start his monastery in Shiheet. One wonders why he has to list or imply multiple sources for authority if the authority of the monastery was never in question. It seems he is grasping at the wind for authority which raises questions on the authority of the monastery to begin with. We all know governments abuse power. We all know politics finds it way into episcopal decisions. We all know Christian relics, monasteries, manuscripts, properties are stolen all the time. We all know that we are called to a global duty to protect endangered people, endangered monuments, and the indigenous history and knowledge of every race to the global world. We all know it is morally questionable to take someone else's property against their will. We all know the situation in Egypt is not like anywhere else in the world. But it is apparent that through this all, these monks behaved contrary to their calling and their philosophy to care only for worship. 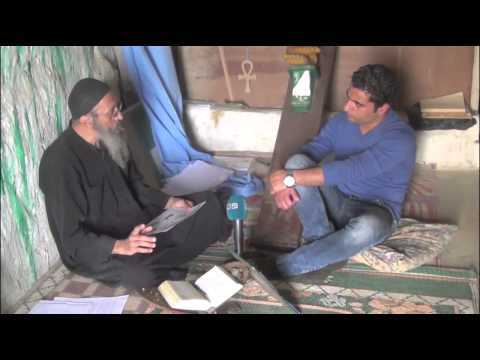 The only interesting part of this whole interview was the documentation of the manshopi of the monastery. That was some awesome archeology. I listened to the shorter video and I also detected some strange inconsistencies as well. In 1969, it is well known that Abouna Matta al Maskeen began a very extreme ascetic life in Wadi el Rayan, and then went to Abu Maqar by the orders of St. Kyrillos VI. Eventually all who were there left to Abu Maqar. There was no one there until 1997. In 1989, the Egyptian government designated Wadi Rayan a preservation area. So this is 8 years after that designation that a few monks decided to go back there. However, the claim was they have been protected under HE the late Metropolitan Mikhail and under the guidance of Abouna Matta and Abouna Ishaak (I think that was the name). So the two sides is this. One side says you have given the government decades of issues and the other side says we had the protection of the Church and the government left us alone. Perhaps the strongest claim by the monks is an ancient monastic site they want to revive, but I feel there's a lot going on that seems to muddy the waters of both sides. I understand that the Papal commission tried to have them move to a different area not far from Wadi Rayan to be considered an official monastery, but they refused, so that sounds like the strongest argument in support of the Pope's decision as well. So my conclusion: may the Lord have mercy and bring this situation to a close in His will and peace. The full story is not 100% clear, but it is a tough case to crack and I hope Christ our Lord may lead this to a resolution somehow that can help all sides in this. Mina, just a small correction. I believe Fr Matta al Maskeen went to Wadi el Rayan in 1960, stayed for 9 years and returned to the monastery of St Macarius Scetis in 1969 under Pope Cyril VI's order. But you're right. The monastery was vacant for nearly 30 years. My understanding is that they are not going to damage the ancient monastic site either. They will connect the road to the main highway through the monastery's property. In essence there will be a public easement for the government that divides the property, not the physical buildings. Of course, the monks put up a wall around the monastery's property to prevent a road construction. So this is the only physical structure that will be damaged/removed. Can you (or anyone else) discuss your thoughts on monastic vows of poverty vs monastery property ownership (not in this case but in general)? It seems to me that what is done is opposite to what is preached. St Shenoute the Archimandrite was criticized by modern scholars for this. His White monastery project was a very large, expensive endeavor that questions St Shenoute's theology of poverty. I'll have to find some references. In the mean time, let's start a discussion. And yes, that's a good question, but it's something I need to ponder on. Many things keep me wondering at times because it's not just monks who are called to live a life of poverty, or at the very least a life not enslaved to mammon. From what I understand these monks live in caves, but the buildings and structures they're building are not for their own living but for communal worship and protection of what they say are ancient sites. So they essentially are living the life of poverty and not pursuing some sort of living expense for themselves. The expenses they receive are towards building a structure for glorifying God. But if more people are starting to live in the area, can you really call this place a monastery? I think of the Tahoona of Pope Kyrillos. When he was a monk, there was no one there. But now, there is a huge church and a village of people surrounding the area, with no monk in sight. This seems to indicate that if people are starting to settle, one has to be open to the possibility of sojourning to a different location. In that sense, what became a vow of poverty perhaps turned into a claiming of rights of ownership can seem to be a contradiction. But I may be wrong. I would like to read up on the White Monastery project and how this was consonant with St. Shenoute's theology of poverty as well. But you also have to be worried about the political situation as well. These are not a group of Christians settling in the area. This is the government coming in for God knows whatever the reason, whether it be tourism or a future mosque for new Muslim settlers. In this sense, perhaps the monks feel obligated to protect their land and their Christian heritage. One has to wonder what goes on in the mind of these monks to block the way and perhaps be a bit more compassionate and sympathetic to their reasonings, even if they are at a huge fault to begin with. Thank you! I was looking all over for that video.